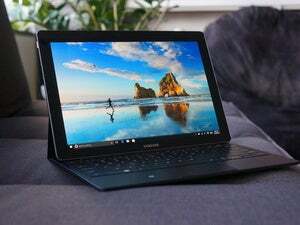 The liquid-cooling feature is especially noteworthy, considering fans are disappearing from tablets and hybrids. But tablet has Intel's Skylake-based Core I processors, and it needed a cooling mechanism, and Acer didn't want fans in it. While announcing the tablet Thursday, Acer said it is the first fanless tablet with a Skylake Core I processor. The device doesn't use Intel's power-efficient Core M processors, which is offered in many Windows thin-and-lights and the new MacBook. The Acer device has a "closed-loop liquid system," which dissipates the heat as liquid floats through the system. The liquid cooling system takes up little space. The tablet has a 12-inch screen that can display images at 2160 x 1440 pixels. It has a kickstand, much like the Surface Pro. A detachable keyboard will ship for free with the laptop. Acer didn't immediately provide the price. The Switch Alpha 12 comes with up to 8GB of RAM, up to 512GB SSDs storage, and integrated Intel 520 graphics. It offers eight hours of battery life, and it weighs 900 grams, or 1.25 kilograms with the keyboard attachment. 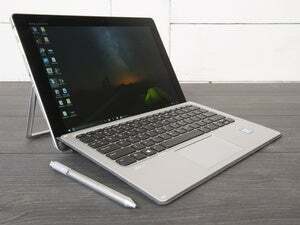 Also announced by Acer was a new S 13 ultrathin notebook, which has a 13.3-inch screen. It has a full HD screen, offers up to 13 hours of battery life and runs on Intel's latest Skylake Core chips. Acer also showed the R 15 convertible laptop, which is powerful enough to provide a decent gaming experience. It has a 15.6-inch screen and can be packed with up to 12GB of the latest DDR4 memory, and an Nvidia GeForce 940MX GPU. It has a full HD display.